Delivered every other month (that means you prepay for three kits, each one delivered every other month). 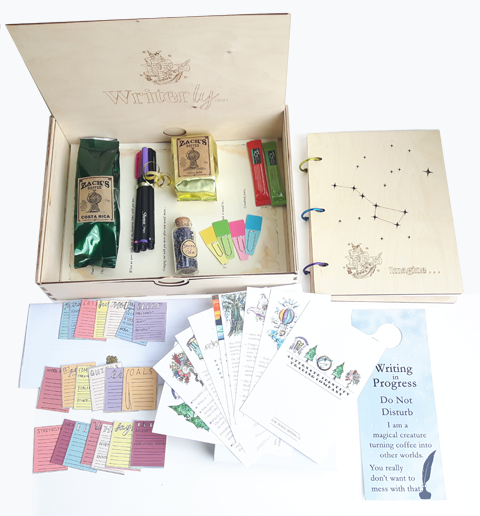 Treasures, techniques and tools to support your creativity and confidence arrive in our birchwood writer's box on the first month, and in hand-stamped kraft boxes the following two deliveries. Ongoing access to Writerly Kits community included. Shipping is added at the checkout. See FAQ. As we grow, we look forward to passing on even more shipping savings to you. Shipping charges cover all shipments.